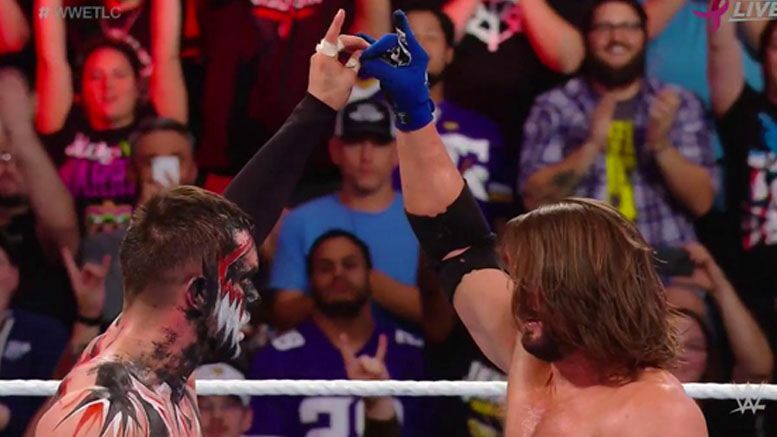 “The Phenomenal One” AJ Styles claims the post-match “Too Sweet” between he and Finn Balor at TLC was not a directive from Vince McMahon … despite speculation. Styles responded to a fan who jokingly wrote that Vince was petty for flying AJ all the way out from Chile just to throw a televised middle finger to the Young Bucks and told them that wasn’t the case. In case you’ve been living under a rock, the cast of Being the Elite recently “invaded” Raw in Anaheim and it lead to the company sending them a cease and desist over their use of “too sweet.” It also led to Jimmy Jacobs being fired from the creative team for taking a picture with the group.